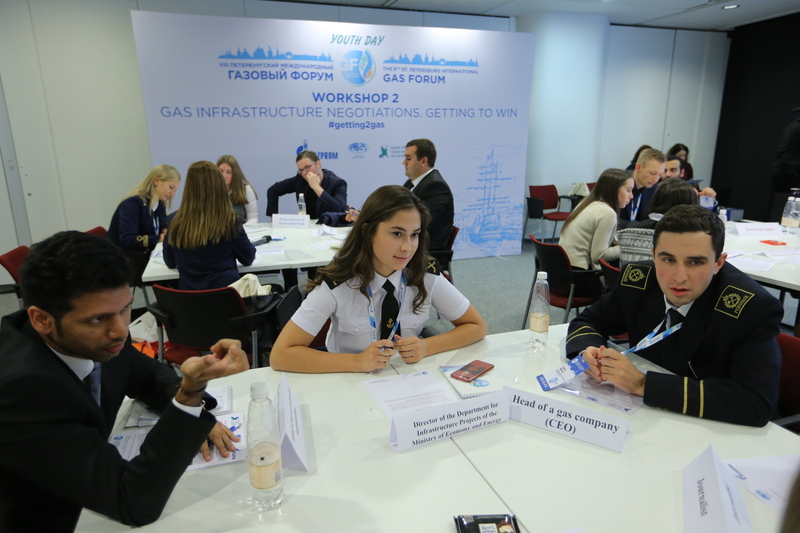 October 2-4, 2018, the Youth day: Dialogue of Generations was held at the fourth time within the official program of VIII St. Petersburg International Gas Forum (SPIGF). 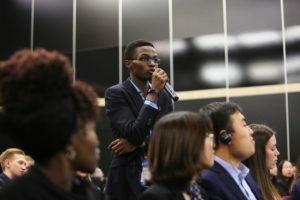 This international event creates conditions for the open dialogue between business representatives of energy industry and talented youth audience from the world’s leading universities and institutes. 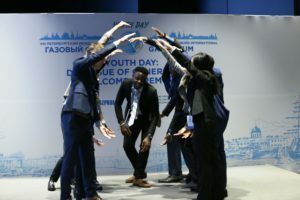 Youth Day was traditionally organized by Higher Economic School of the St. Petersburg State University of Economics (HES UNECON) under the financial and organizational support of International Business Congress (IBC) and Gazprom Company. Partners of the event are the worlds` leading energy companies Uniper, Wintershall, Gasunie, Shell, Schneider Electric and OMV as well as academic community – Energy Delta Institute (EDI) and UNECON. Every year Youth Day attracts the interest of constantly increasing number of students from all over the world. In 2018, there were more than 500 applications from candidates from different parts of the world. 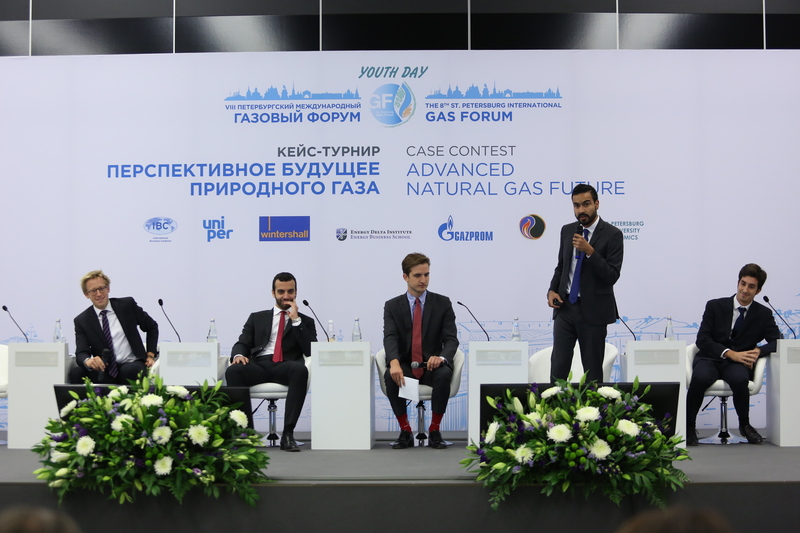 To be selected on Youth Day 2018 they had to pass a serious challenge and to find solutions on business case devoted to the study of opportunities for cross-sectoral and transcontinental integration of participants in the global gas sector. Finally, 130 students from 44 universities of Austria, Belarus, Bolivia, China, Denmark, France, Germany, India, Poland, Portugal, Russia, the Netherlands and the UK took part in the Youth Day 2018. 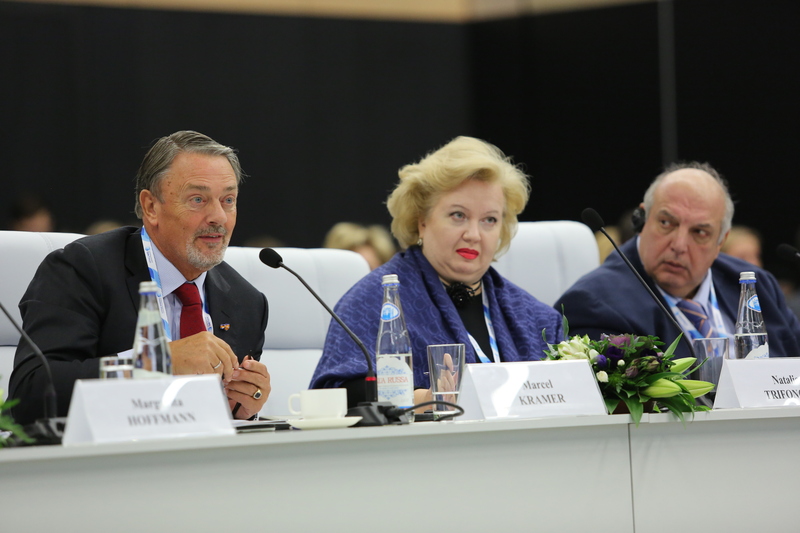 Youth Day 2018 was launched on the 2nd of October with the Welcome ceremony where the participants were greeted by Elena Kasyan, Chairlady of IBC’s working Committee “Human Resources, Education and Science” and Head of the Department of PJSC “Gazprom”, as well as by Igor Maksimtsev, Rector of St. Petersburg State University of Economics. There was also held a draw ceremony for the order of presentation of national students’ teams in Case Contest, which took place the next day. The official part was followed by the interactive-communication game on the gas theme, which helped students from different parts of the world to get to know each other faster. 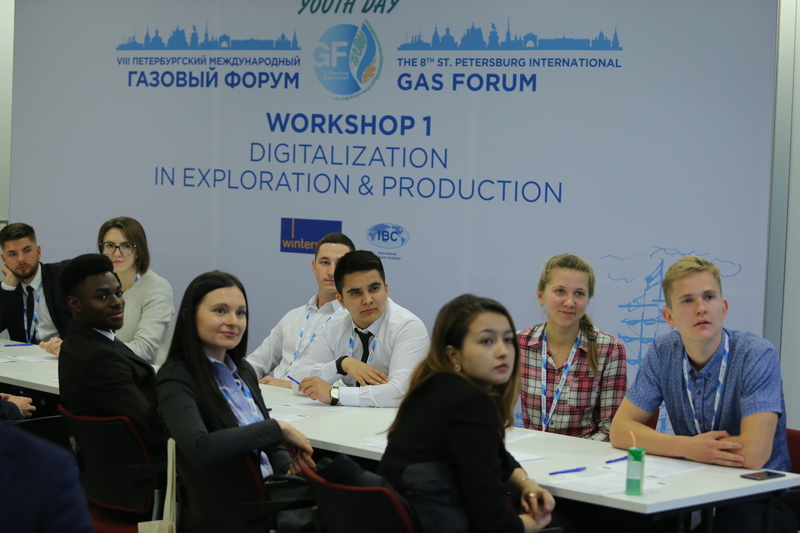 Then the participants of Youth day had an opportunity to communicate with representatives of various energy areas during the tour of the exhibition of St. Petersburg International Gas Forum. 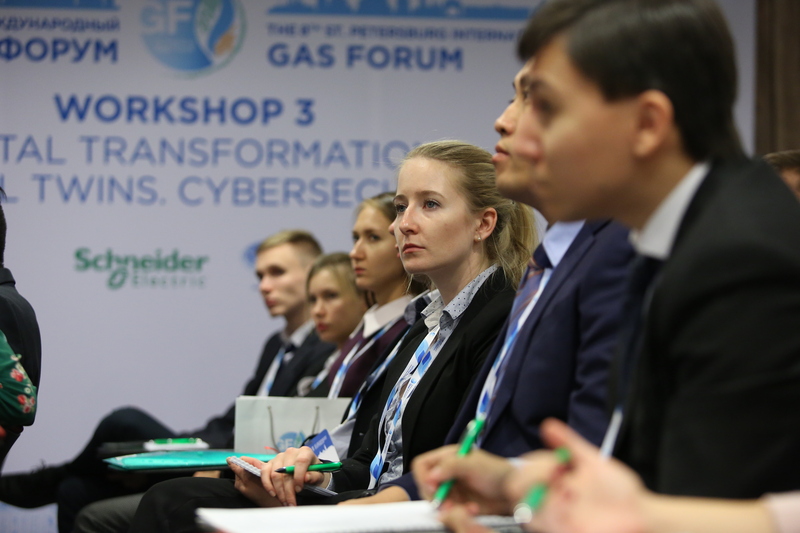 They have visited the key stands and exhibits presented by such gas companies as: Gazprom Mezhregiongaz, Gazprom Gaz-Engine Fuel, Skymetr, Servisoft, Intraline, United metallurgical company, Pipeline systems and technologies, Condair, Kirov plant, RSM Oil-Gas Service, etc. Workshop 1. Digitalization in Exploration & Production. Moderator – Torsten Helbig, Wintershall Holding GmbH. Workshop 2. Gas infrastructure negotiations. Getting to win. Moderators – Tatjana Zhitenko, PJSC Gazprom and Natalia Sarakhanova, HES UNECON. Workshop 3. Digital transformation. Digital twins. Cybersecurity. 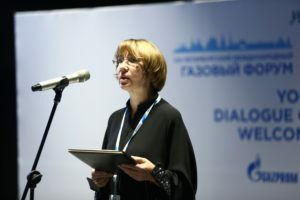 Moderator – Inna Nazarova, Schneider Electric. Workshop 4. Hydrogen: a bridge between natural gas and renewables? Moderator – Catrinus Jepma, Energy Delta Institute. 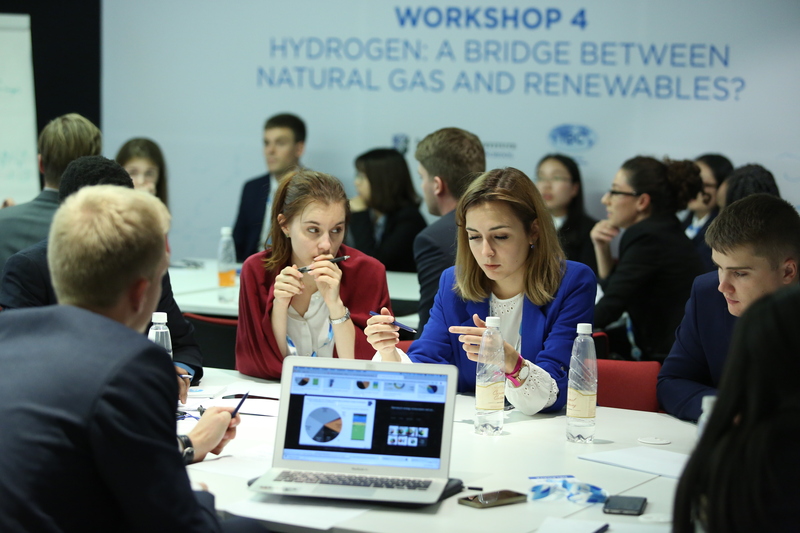 The second day program was held in a competitive format within the event Case Contest “Advanced Natural Gas Future”. 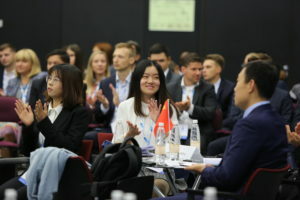 For three weeks 6 students’ teams from China, Germany, Russia, the Netherlands, the UK and one International team were resolving the case study, created by the expert group from St. Petersburg State University of Economics together with experts from company Gazprom. The case set the task of a reasoned justification of the upcoming inter-sectoral integration initiated by the leaders of the energy and gas industry, developing a diversified presence in global markets. On the 3rd of October the national teams had the chance to present their solutions to the International Expert Committee consisting of the leading experts in the gas industry: Marcel Kramer, President, Energy Delta Institute – President of the Committee; Nikolai Kislenko, Director General, NIIgazeconomika; Margarita Hoffmann, Vice President, Senior Projects Gas Mid-Stream, Wintershall Holding GmbH; Grigory Shevchenko, Senior Account Manager, Gas Supply & Origination, Uniper Global Commodities SE; Alexander Muradov, Vice-Rector for Research, Gubkin Russian State University of Oil and Gas; Natalia Trifonova, Head of International Business Department, UNECON. 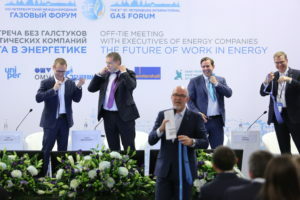 The event was hosted by Rob Veersma, Director Training & Development, Gazprom International Training B.V. and Pavel Metelev, Deputy Director, Higher Economic School of UNECON. The choice of the winner in the Contest was quite difficult for the Committee. According to the words of Marcel Kramer the “photo finish” determined the winner team from Russia. The second place was taken by the German team, and the third was the China team. 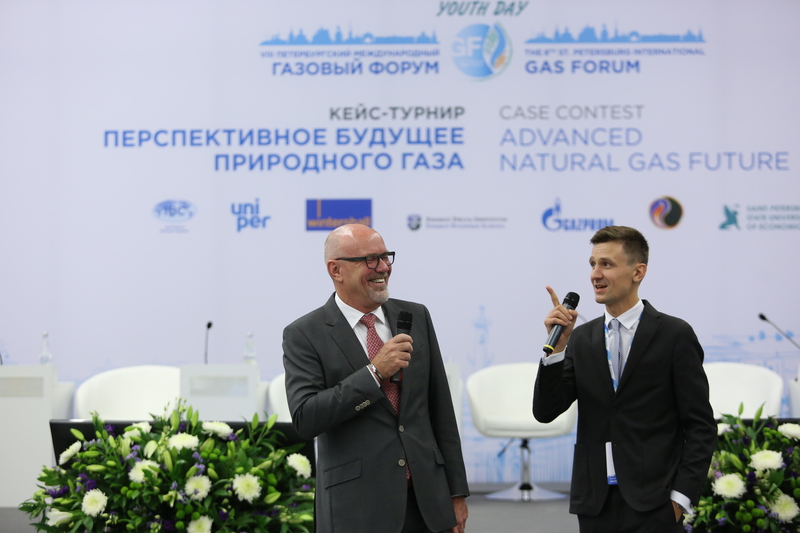 On the morning of October the 4th, all participants of Youth Day were invited to the SPIGF plenary session “The role and significance of natural gas in the energy balance of the world economy”. The final event of the Youth Day program was Off-Tie Meeting with Executives of Energy Companies. The event was opened by Alexey Miller, Chairman of the Management Committee, PJSC Gazprom. In his welcome speech he greeted his colleagues and audience; explained how to become a successful leader and what features distinguishes him from the manager and the organizer; described the most important personal qualities for top-managers and industry leaders. He also showed the importance of personal interaction at the top- level for the positive development of relations between the companies on example of long-standing cooperation of Gazprom and Austrian company OMV AG. 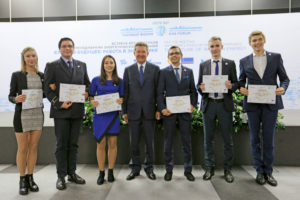 At the end of his speech, Alexey Miller awarded the Russian students team, the winner of Case Contest 2018, with the certificate for Grand Prix, the study trip to oil and gas companies, Youth Day partners. After that, moderators of the Off-Tie Meeting – Pavel Metelev (HES UNECON) and Rob Veersma (Gazprom International Training B.V.) invited the speakers – top-level executives of the leading international energy companies to the stage: Sergey Khomiakov, Deputy Chairman of the Management Committee, PJSC Gazprom; Thilo Wieland, Member of the Board of Executive Directors, Exploration & Production in Russia, North Africa & South America, Wintershall Holding GmbH; Keith Martin, Chief Commercial Officer, Uniper SE; Cederic Cremers, President and Country Chair, Shell Russia; Thomas Geoffrey Morris, Senior Vice President Russia, OMV AG. 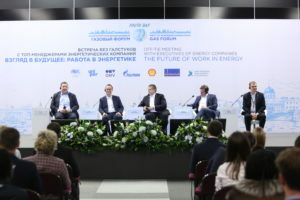 The main topic of the meeting was “The future of work in energy”. The main issues discussed during the meeting were digital technologies in energy, the future of energy and a new generation of employees. Each of the speakers shared with the students their views on innovations in the energy sector, spoke about their digital skills, their views on the “dialogue of generations” and the possibility of cooperation between generations. Students also had the opportunity to ask their questions directly to the leaders of the companies, they were mostly interested in the further changes in the structure of energy companies, the interaction of companies and universities, learning opportunities on the work place and the demand of young professionals in various sectors of the gas industry. To sum-up the results of the meeting the moderators gave the opportunity to all participants, both on stage and in the hall, to talk about their impressions of the resulting dialogue. 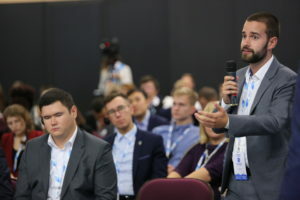 The meeting, indeed, was held in a relaxed “off-tie” atmosphere, where all participants had the opportunity to communicate directly with the heads of companies, receive valuable advice or learn about career prospects. 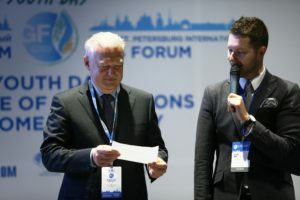 At the end of the event, on behalf of the organizers, Igor Maksimtsev, Rector of UNECON, thanked all business and academic partners of the Youth Day and expressed the hope that today’s participants in the future will be able to take their places in the chairs on the stage and be presented as the experts and leaders of the industry. In addition to the official program, there were cultural and entertainment events designed to create an opportunity for informal communication and networking. On October the 3rd, the participants of Youth Day went to St. Petersburg sightseen tour. On October the 4th, there was a farewell party in the night club. 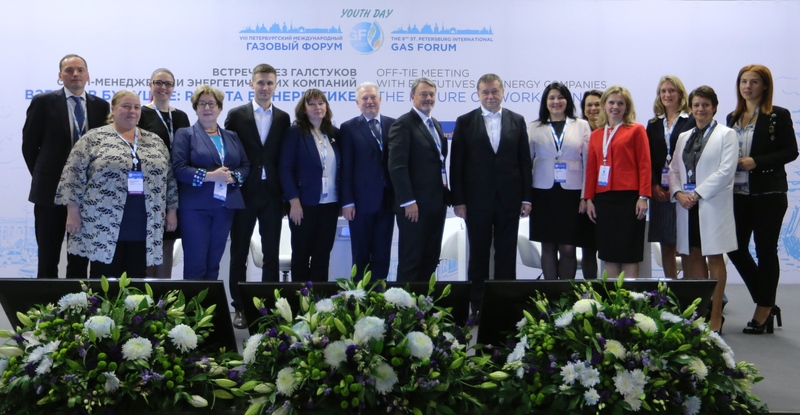 Thanks to the support of the International Business Congress and partner companies, the Youth Day project has been successfully implemented within the framework of the St. Petersburg International Gas Forum for 4 years. This is a bright event for dozens of students from different countries providing them with the knowledge of current trends in global gas industry. During 3 days program they could show their best professional and personal skills in resolving practical industry cases and challenges, learn the best practices and experience of leading experts and make friends around the world. Nurturing the future: to identify, guide and support gifted and talented youth.